The Tulip Festival, Pashley Mannor Gardens. Great Prawls Farm is an exceptionally pretty sheep farm in an area of outstanding natural beauty high on the former sea cliffs of the 'Isle of Oxney' with extensive views and sunsets. It straddles the sunny south-east borders of Kent and Sussex so there are many places to visit in either direction with Gardens and National Trust properties in plentiful supply. The medieval towns of Rye and Tenterden are ten minutes drive and the sandy beaches of Camber just 15 minutes.The minature steam train of Romney Marsh runs to Dungeness Lighthouse for a climb and the Tenterden Steam train to Bodiam Castle for a picnic.Great Dixter renowned gardens and N.T. Sissinghurst and Ellen Terry House are very nearby.As is the RSPB at Dungeness. 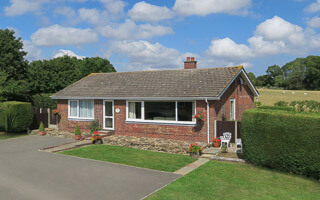 The cottages have extensive views with peace and tranquillity, ideal retreats. Take a walk on one of our farm trails or watch the sunset over the valley and the birds soaring with a glass of wine and a good book and just unwind. Both cottages are 4 star E.T.B and very comfortable to ensure a relaxing holiday. We work with Kent Wildlife Trust & Natural England to improve our environment and there are wildlife and birds to be seen. on the farm with self - guide walks available. France and London for day trips are but a short hop. Our holiday cottages have been a farming family business since 1978 and you are assured of our personal supervision. 4 Star / Sleeps 4. Character cottage. Traditional style, with antique beams. 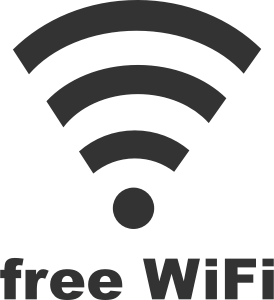 Comfortable, well equipped, free WiFi. Large outdoor dining area & sunsets. Parking, welcome pack and relax! 4 Star / Sleeps 5. Rural retreat. Panoramic lounge views, free WiFi. Well behaved dog by arrangement. Large private garden, peaceful patio. We still have some availability Easter week to see the lambs and it is bluebell time. 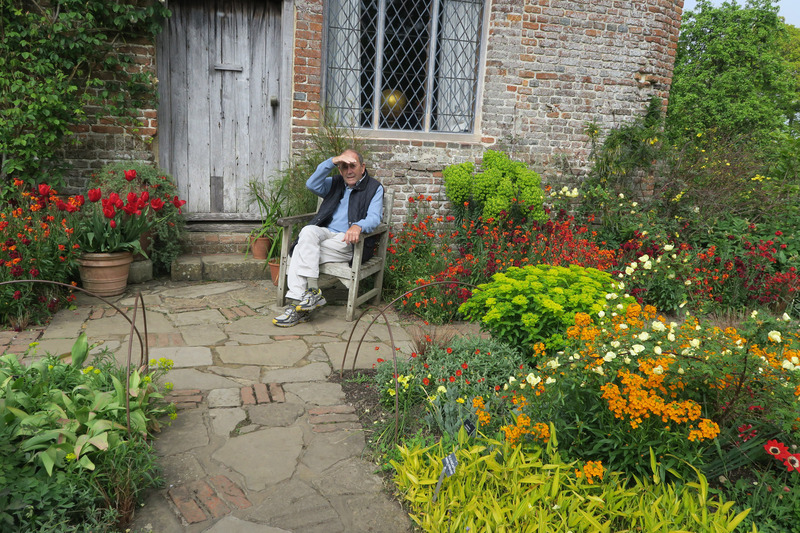 Kent and East Sussex are renowned world wide for their gardens and it is certainly bloomin glorious now.We are going to see our favourites in this lovely sun, starting with Great Dixter of Christopher Lloyd fame. 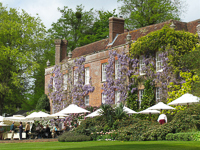 National Trust Gardens near by are Lamb House, Smallhythe, Sissinghurst, Scotney & Batemans. 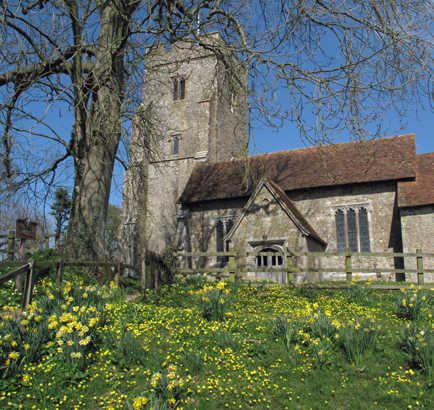 Plus our lovely favourites Great Dixter, Hole Park, Merriments & Pashley, . No wonder Kent is the Garden Of England! East Kent Railway is under steam and also has a Lego Brick exhibition at the moment and mini engines to be seen at Bodiam station - next stop the Castle! Rye Harbour, RSPB and Sussex Wildlife nearby all have walks and talks coming up to and take photographs. Close by are Bodiam Castle, Leeds castle, Camber Castle, Hasting Castle, Dover Castle, Battle Abbey, many with childrens events. The Tenterden and Dungeness small Steam Trains are running and to top it all we are only 15 mins from long sandy beaches as the weather warms up.Rye & Tenterden are jewels of antiquity to explore and shop. Back at the farm we have lovely peaceful farm trails available only to our visitors to explore and spot the wildlife after a hard day's holiday making! Or maybe with a gin & tonic on their patios watching the sunset would be a little less strenuous. 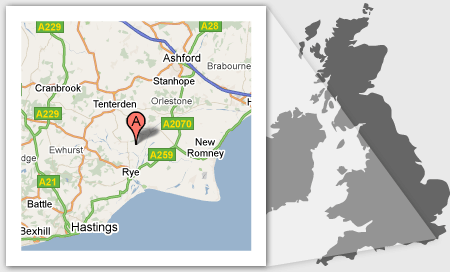 We are located near the village of Stone in Oxney, in between Rye in East Sussex and Tenterden in Kent. The farm is a 20 minute drive from Ashford, where links to the M20 motorway, Eurostar, Channel Tunnel or Dover Ferry Terminal, can be found. From Ashford, the fast train to London St.Pancras takes just 38 mins, for a day out exploring the capital. 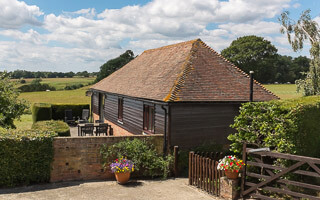 Close to everywhere but away from it all, Great Prawls Farm is the perfect base from which to explore Kent or East Sussex, or just rest, relax and unwind. Copyright © 2019, Great Prawls Farm.